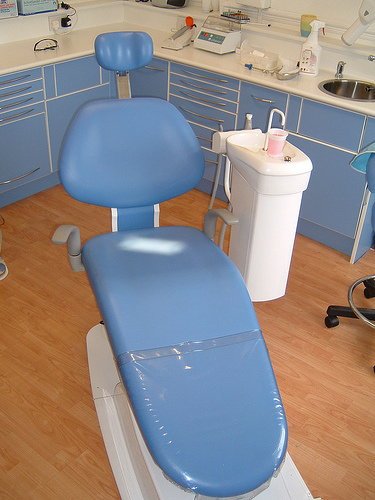 So, I was kicked out of the dentist chair this morning. My blood pressure reading was too high. The dentist called my doctor, who did not authorize him to do the procedure today due to the high number. Not only that, I had to make an appointment to be seen immediately at the doctor’s office. My numbers have been steadily going down with the medication I am taking, which is great. However, there is just no way that I can go to the dentist and not feel stress. Hence, the big numbers. I immediately texted two of my dearest friends and asked them to pray for me. I fought tears on my way to the doctor’s office. *I was considering the fact that after a lifetime of relatively good health, my body is beginning to limit what I can do. *I was considering how much I dislike the fact that I have spent a lot of time in the ER and the doctor’s offices lately. *I was considering that I do not like having to be on medication due to this life-threatening condition. *I was considering my impatience for this medication to fully work and get my numbers back to normal. In other words, I was considering myself. I had a choice to make and it was going to determine the remaining course of my day. Would I take authority over this situation in Jesus’ powerful name? Or, was I going to allow myself to throw a massive pity party? Would I count my blessings? Or would I rehearse my grievances? Would I say, “I trust You, Jesus”? Or would I buy into the enemy’s lie that “it’s all downhill from here”? Faced with those options, I decided to begin to consider the JOY that was being offered to me. I have been given this day and I am commanded to rejoice in it. (Ps. 118:24). I can’t rejoice in poor health or stressful circumstances or heartbreak. But I CAN rejoice in the fact that Jesus is with me every step of the way and He is taking care of me. He alone holds my destiny in His hands. I can rejoice that I am safe in His care. I can thank Him for access to good medical care. I can rejoice that He is teaching me to live the life out of every moment, even if circumstances are less than ideal. I can rejoice over the fact that this world is not my home and I am headed to a new Heaven and a new Earth. (Rev. 21). “The apostle Paul compared our present earthly bodies to tents (2 Corinthians 5:1-4)…the temporary ‘tent’ (or body) in which believers now dwell will be replaced one day with an eternal, immortal, imperishable body (I Corinthians 15; 42, 53-54)…One commentator paraphrased Paul’s words this way: ‘Don’t take your physical situation too seriously. Your body is fine to camp out in for a while, but before long, the tent will begin to sag; a stake or two will be lost along the way; seams will begin to tear…Our Father is so good to gently remind us every time we look in the mirror that we’re rushing toward eternity. Paul was one who truly understood that his body was only a temporary dwelling…while in this body, we groan. Why so? Our bodies are burdened by sin, sickness, sorrow, and death…we groan because our “tents” are showing signs of use, because our bodies are wearing out.” —The Wonder Of Heaven by Ron Rhodes, pp. 79-80. So why am I shocked that as I get older, my body begins to ever-so-slowly break down? I can rejoice whatever befalls this temporary body because I will have a new one for all eternity, as will all other believers. This body will be perfect and beautiful, free from all remnants of the Fall. My hope and joy and peace do not rest with this body I have been given, nor this world in which I currently live. No, my hope, peace, and joy rest in my resurrected Savior who reigns in Heaven. I’m going there one day. I will see His face. I will see the scars on His hands and His feet. I will live forever with Him in a place of breathtaking beauty, where everyday wonders upon wonders will unfold. That is why I can consider it all joy, regardless of whatever befalls this earthly body. Power Of A Moment · Paint Your pictures on the canvas in my head, and write Your wisdom on my heart.